We are dealing with the Power Instrumentation Cable which is usually used within industrialized developing plants for control, communication, data and voice transmission signals. These cables are usually used in industrial projects and go industries. We are well known as the best distributor in Gujarat India, for Power Instrumentation Cable which is even used to connect electrical instrument circuits and provide the communication services in and around the process plants with the detailed signal transfer. Having multiple conductor cables which conveys the low energy electrical signals for monitoring or controlling electrical power systems and their associated processes is known as the Instrumentation cables. 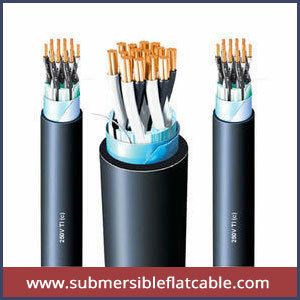 Backed with the trustworthy vendors our Power Instrumentation cables are contrived proffering an immense selection of these high sturdiness cables in a diverse range of specifications. The features of minimum interference in transmission of signals and ease of installation. You can avail these cables from us at the market leading price with the best quality cables checked and verified by our expert professionals.